as much as we do. We are open to your comments and suggestions, and like you, are always in pursuit of the perfect ride. 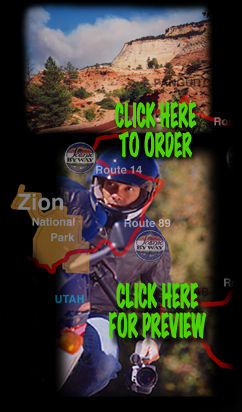 or something else to share with us or others with the desire to travel the open road, this is the place to do it. Redline America is not a sponsor driven infomercial. It is not brand specific and has no naked women, excessive violence or offensive language, although there is a shot of a buffalo pooping and many bugs where killed. Click the link bellow to send us an email. Then check the message board soon for your posting.